Browse photos, interesting facts about wild rabbits and hares, as adapted from our Facebook posts. This page is periodically updated. 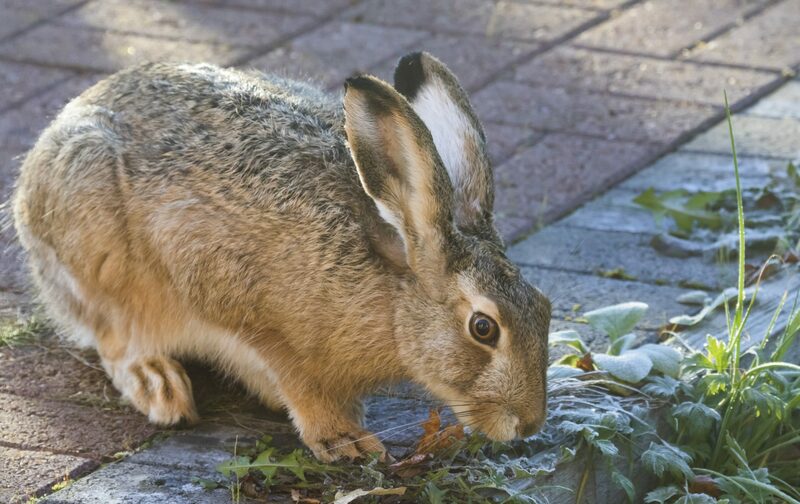 COTTONTAIL RABBITS, Sylvilagus spp., (about eight species in the U.S., 16 in the Americas) are the rabbits most of us see in our yards, with each species inhabiting a particular region. Some people mistakenly think rabbits are rodents. Rabbits are in the order Lagomorpha, which also includes hares and pikas. 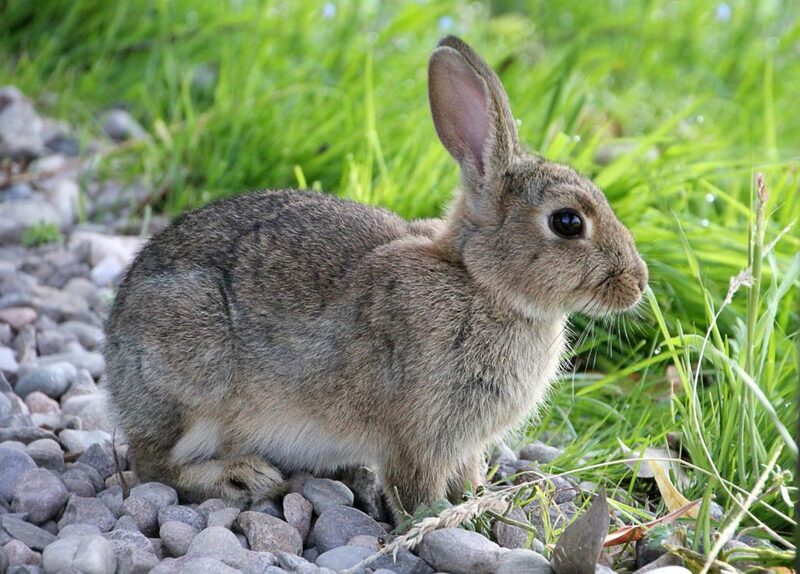 Rabbits differ from hares in being smaller, with shorter ears, and they’re born bald and blind. Hares are born with hair, open eyes, and can even somewhat fend for themselves soon after birth. Shown above is the Appalachian Cottontail (Sylvilagus obscurus), which closely resembles the Eastern Cottontail and lives in the Appalachians from Pennsylvania to northeastern Georgia. 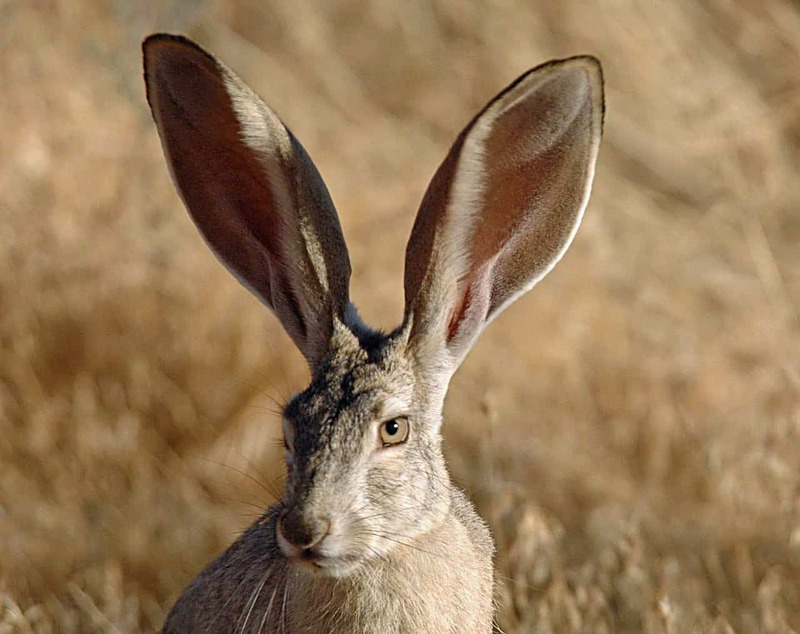 BLACK-TAILED JACKRABBITS, Lepus californicus, are large hares, weighing up to seven pounds (3.2 kg). They range across much of the western half of the U.S. and south into Mexico, favoring desert scrubland, prairies, farmlands, and dunes. They move into cities where there’s suitable habitat. They normally rest in shallow depressions by day and forage at night. Like most hares, they can bound 20 feet (6.1 m) forward and run at sustained speeds of 30+ miles per hour (48 kph) in a zigzag pattern. Their babies are born with hair, and their eyes are open. That’s some of what distinguishes hares from rabbits, which are born hairless and blind. Interestingly, these hares obtain nearly all the moisture they need from their food plants, by fully digesting them twice. Rabbits don’t always quickly dart away when we approach them. That isn’t because they’re somewhat tame or unafraid of humans. They freeze in hopes of blending into their surroundings. If we continue toward them, they run like, well, a scared rabbit! Some can run in brief spurts up to 45 miles per hour (72 kph), according to some experts. 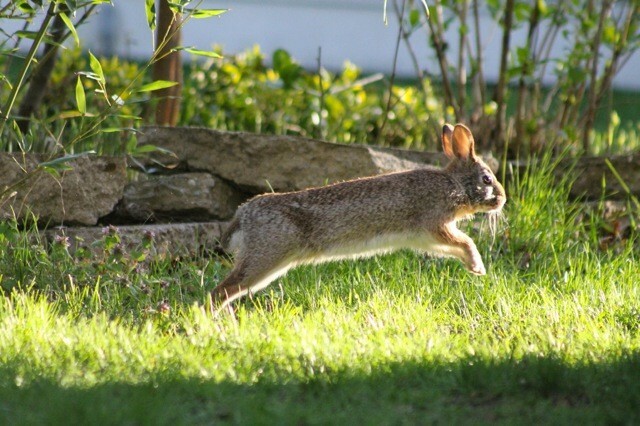 Rabbits have huge, powerful hind legs and raise up on their toes to run. Cottontails have 17,000 taste buds, compared with about 8,000 to 10,000 for humans. They probably enjoy an intense flavor array, with subtleties we can’t imagine. Perhaps that’s what makes greens tasty to them while boring to some humans. Much as they like their greens, rabbits also eat fruit and enjoy a good birdseed buffet. 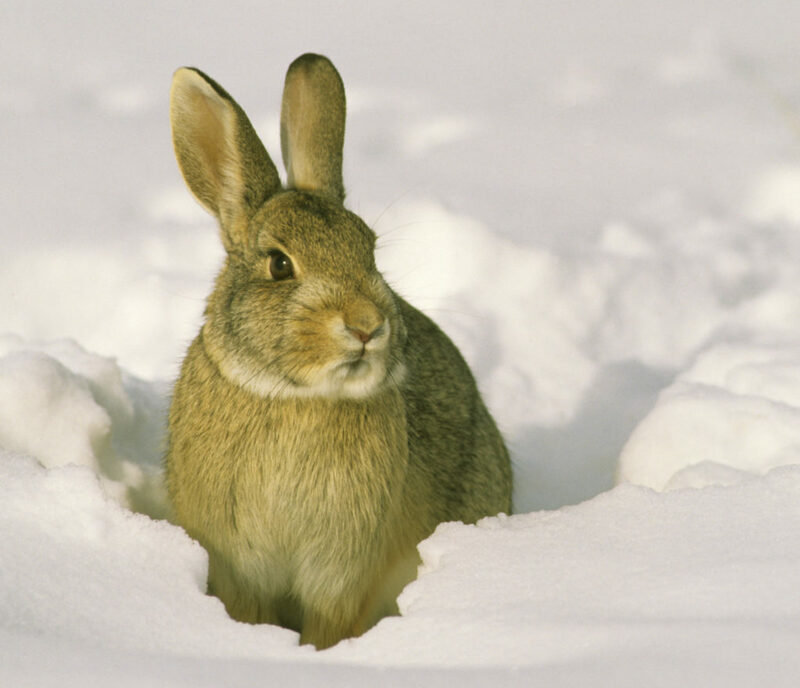 Cottontails don’t hibernate; they face the extremes of winter weather head-on. A major challenge for them is finding enough food and liquid water. Normally active at dusk and dawn, in winter they venture out more often in the daytime to eat. This is risky, especially when there’s snow, as the color of their coat stands out. They nest in a shallow depression in dense cover, but on frigid days, they may look for old dens for cover and warmth. 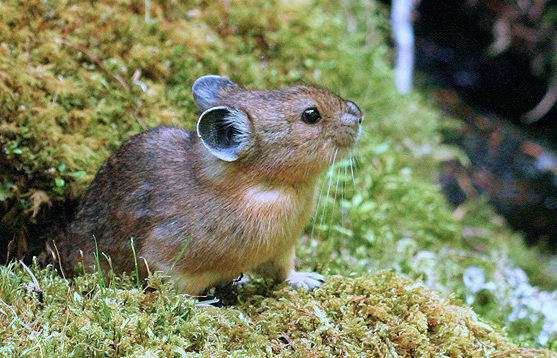 The AMERICAN PIKA (PIE-kuh), Ochotona princeps, is a small mammal in the same order as rabbits and hares, but belonging to a different family. Native to North America and Eurasia, they comprise 30 species and are known for emitting a whistling alarm call as they dive into burrows. 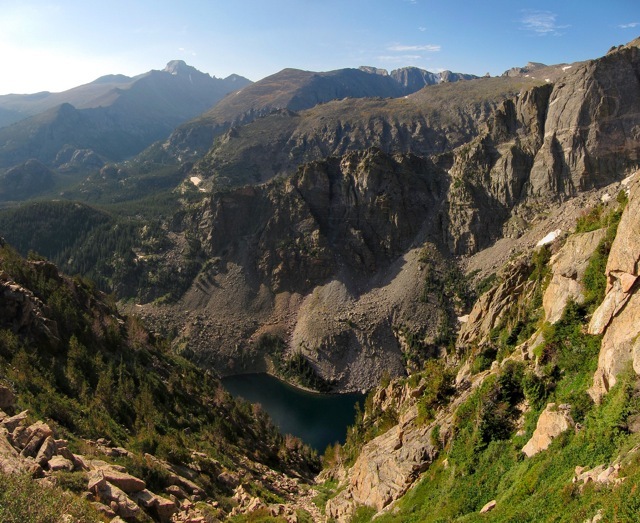 They like the cool, moist climates of mountains, above the tree line, but near meadows, where they can find plants to eat. American Pikas can’t tolerate high temperatures and easily overheat. Global warming is forcing them into higher elevations in recent years to stay cool. If they reach the top, there will be nowhere left for them to go. They already have moved out of a third of their former range in Oregon and Nevada. The USFWS may soon place them on the endangered species list. AMERICAN PIKAS live at high elevations in mountains west of the Rockies. They live in colonies and call out alerts to each other when predators, such as weasels, hawks, and coyotes are near. They don’t hibernate and survive winter by eating from a large stockpile of dried wildflowers and grasses they gathered throughout the previous summer. PYGMY RABBITS, Brachylagus idahoensis, are the world’s smallest rabbits — only 9 to 11.5 inches long and weighing just one pound. They inhabit the West, in dense sagebrush areas with deep soil. 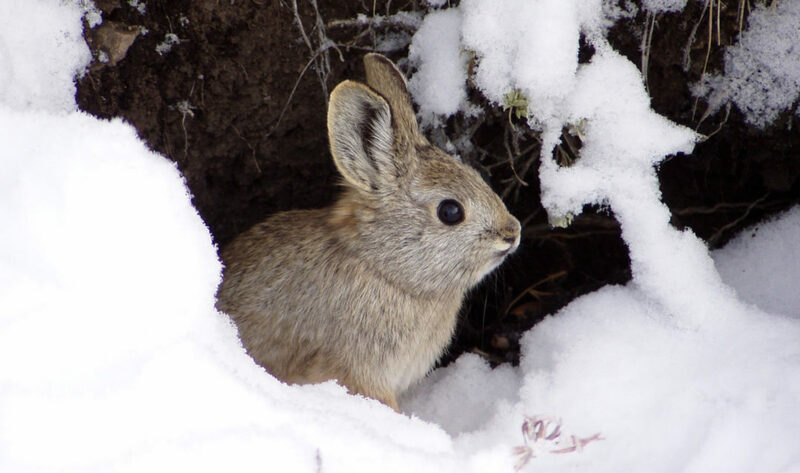 They nest in burrows and are believed to be one of only two rabbits in the family Leporidae (which also includes cottontails) that dig their own. Their population is dropping due to habitat loss, inbreeding, and disease. Some states are now conducting captive breeding programs. 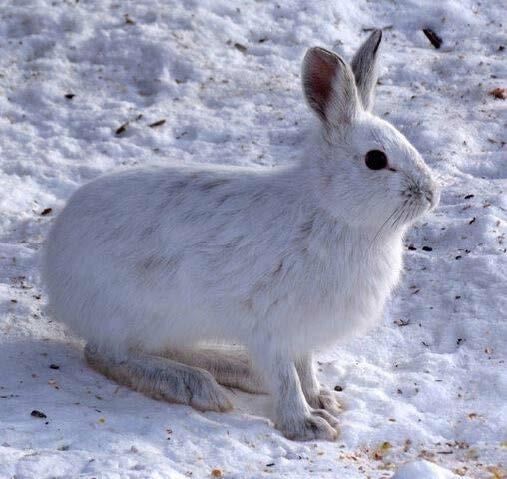 SNOWSHOE HARES, Lepus americanus, are the primary food for the Canada Lynx. The lynx and hare are an example of how a predator-prey relationship influences species populations. For reasons that aren’t entirely clear, about every 10 years the hare population drops substantially. As a consequence, the lynx population drops, too. When the hare eventually rebounds, so does the lynx.